We can’t avoid death and most of us can’t avoid taxes. But should you avoid tax-refund companies? The days of filling in a form and seeing whether we owe tax or not have gone for most PAYE taxpayers. So how do you know whether you might get a refund? You can call Inland Revenue or check its website. Or there are plenty of companies that’ll do it for you. Some charge you a pretty penny if you do get a refund. Since 2006 businesses have sprung up, advertising they’ll check to see if you’re due a refund. Their hook is, no refund, no fee. Since 2006 businesses have sprung up, advertising they’ll check to see if you’re due a refund. These companies generally have to be registered with Inland Revenue as “tax agents”. 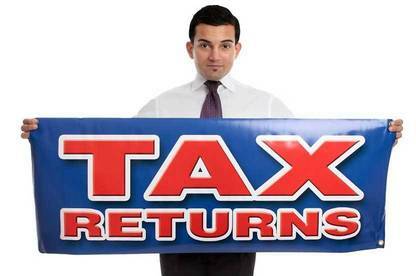 Some are affiliated with an accounting firm (the tax-refund business is a handy offshoot). They’re easy to muddle up because most have at least one of the words “Kiwi”, “NZ”, “tax”, “my” or “refunds” somewhere in their name. Each company likes to promote its “point of difference” – from claiming to beat another company’s offer by 10 percent or promising a chance to win a grocery hamper or smartphone through to loyalty discounts, Fly Buys points, or rapid processing and refund times. One now has a mobile app. The companies tempt you with testimonials from “happy customers” and claims about their “average refund amount” or the percentage of their customers who get a refund. Tax jargon can be hard to understand at first glance. And sometimes it might seem easier to let someone else do the work – especially if you’re required to file an IR3 tax return (individual income return form) or want to claim for donations. A tax-refund company can be an appealing alternative when you don’t have the time, inclination, confidence or ability to do it yourself. You fill in a form on the company’s website (or mobile app) with your IRD number, contact details and answers to a few questions about your income. You also need to provide evidence of ID (usually a driver licence). Completing the form means you authorise the company to act as your tax agent. It now has access to your income-tax info at Inland Revenue. The company uses this, together with the information you provide, to calculate whether you have any tax refunds owed to you in any of the last 5 years. The company will then confirm your PTS. Inland Revenue will pay your refund to the company, which then pays it to you – minus its fees. What if you already owe money to Inland Revenue? Your refund can be used to cover past debts. And Inland Revenue also carries out random audits so even if the company doesn’t request a PTS you may still be contacted by Inland Revenue. Become a Gold or Silver member to find out more about tax refund company fees. Finding out from Inland Revenue whether you’re owed a tax refund isn’t difficult. Its website explains things well and contacting Inland Revenue with a query can be no more daunting than calling some of the companies we looked at. Even filing a rebate claim for donations or an IR3 is straightforward. Give it a go! It’s free. The Inland Revenue website has a simple “personal tax summary” calculator for each year from 2009 to 2014. (You’ll have to register with Inland Revenue’s online services to access the 2014 calculator.) Inland Revenue says it doesn’t store the information you put into the calculator. You’ll need income info for the calculator. For 2014 the calculator will automatically insert your income from your employer. For previous years you can get this from your “summary of earnings” (SOE), which becomes available in May each year and which you’ll need to request from Inland Revenue (you can do this by telephone). Or you can get the info by registering with Inland Revenue’s online services. Put your income info into the calculator, including any other income such as interest or dividends, and answer a few questions. Make sure you claim any expenses. The calculator then shows whether you have a refund owing or tax to pay. If you have a refund due, request your PTS and then confirm it. Once you’ve confirmed it Inland Revenue will deposit the refund in your bank account or send you a cheque. It won’t have cost you anything except your time and maybe a few brain cells! Our data are from company websites and show fees relating to personal tax summaries only. Different charges may apply if you’re required to file an IR3. Company set-up year is shown in brackets. A 10% + GST if you switch from another “tax agent”. If you find a cheaper deal they say they'll beat it by 10%. Total fee for one and two year refunds is based on a $400 refund for each year and includes GST and ID verification fee. Special fees - cheque applies if refund is by cheque. ID verification will not apply if no refund due. Cancellation applies if you cancel after your refund-application’s been processed. Who ends the arrangement? shows whether you have to do this (by notifying IR or the company itself) or whether the arrangement automatically ends after one-off use. A “personal tax summary” shows your income and tax-deduction details for the year. These details are from monthly information supplied by your employer and any other source of income (such as your bank details if you’d supplied this). Your PTS will tell you whether you’ve overpaid your tax and are due a refund, or underpaid and have tax to pay. Some people will automatically receive a PTS from Inland Revenue by mid-July each year due to their tax situation. They won’t need to request one. Tip: If you receive a PTS and it shows you have tax to pay, you must pay that tax. Under current rules, taxpayers who aren’t required to have a personal tax summary (PTS) can choose whether to request one or not. This allows them to “cherry-pick” the years in which they’re due a refund and avoid the years where they might have to pay tax. However, the cherry tree’s being chopped down. Changes made to the Tax Administration Act 1994 now mean anyone who requests one year’s PTS will also receive PTSs for previous years – and this will be phased in from the 2018 tax year. So someone who wants a tax refund relating to the 2018 tax year will receive PTSs for 2 years (the 2018 year and the previous 2017 year). In each year after that, the number of previous years to be included goes up by 1 and, from the 2021 tax year, someone requesting a PTS for that year will also receive one for the previous 4 years. Don't want to do it yourself? 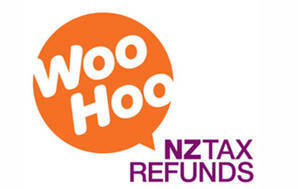 NZ Tax Refunds is the only tax refund company to have earned Consumer Trusted accreditation. This means they comply with the Consumer NZ Code of Conduct. Our advisory service is available to provide members with advice about issues or problems with any Consumer Trusted business.